There are over 200 wrecks in the English Channel to target off the Sussex coast and the wrecks available to us vary in size depending on the type of vessel and how much of the wreck is still in tact. A lot of our wreck are ships that were lost at sea during the first and second world wars and are now home to the fish we all love to target as they love to inhabit them as they provide an environment similar to that of a reef or rocky outcrop and so gives shelter from the tides and holds an abundance of food. That said these wrecks due to their age are starting to break up and so fishing for these fish has become more of a challenge. Choosing the right wreck on the right day is a challenge for Neil but with his experience he will know which wreck to fish after taking into account the orientation of the wreck as well as wind and tide on that day. 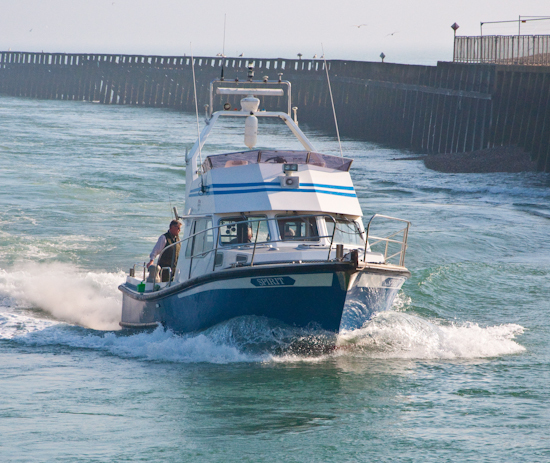 The season for deep sea wreck fishing aboard Spirit of Arun out of Littlehampton runs from May to August and a great opportunity to catch a fish to into double figures. 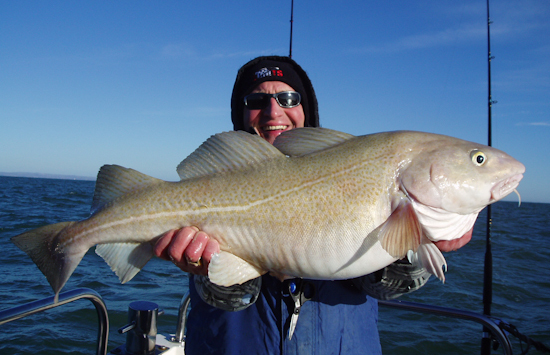 The usual targets are Pollack, Bass, Ling, Conger and of course Cod. These can be caught in plenty on the right day and the quality of the fish is superb. There are also plenty of other fish to be caught from fishing over or around the wreck and these include species such as Bream, Tope and Bull Huss. 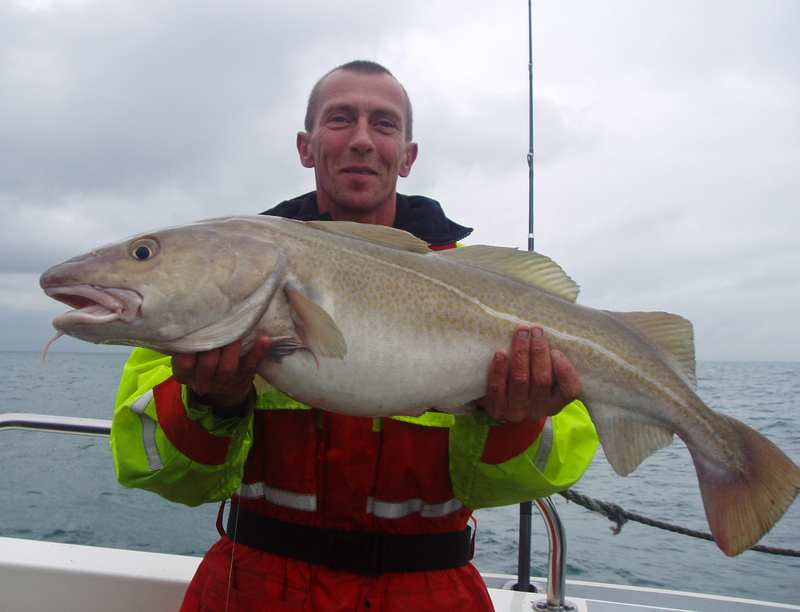 During the winter months the wreck fishing becomes less productive as fish more inshore to spawn and so that’s were we change to fishing on the ground on inshore wrecks and reefs to focus on targeting large Cod and Whiting. Fish can be found at different levels and so depending on the species you are targeting it is important to be aware that there are those who feed right on the bottom and others which are to be found feeding at mid-level where the fish are preying on the smaller fish above the wreck in the pressure wave which is created by the water being forced up over the wreck by the tide. 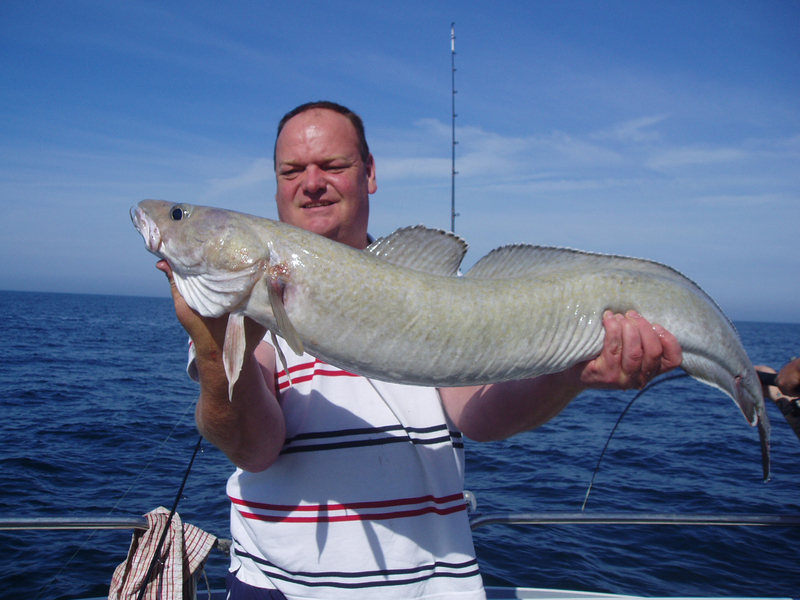 You will find that Cod are feeding on the bottom where as you are more likely to catch a Pollack or a Bass higher up in the water column where they are feeding. Aboard Spirit we are not great lovers of pirking with a string of feathers above, we much prefer to see a single lure used with either a gill or shad. Red and Black colours are consistent but this said we would not like to leave port without including the natural colours and of course orange in the tackle box. Most of the wreck fishing throughout the summer is drifting. Modern and good quality 20 lb class rods will handle most fish. When the boat is up tide of the wreck you will be gently lowering you line to the sea bed as you start moving and winding in your line a at steady and constant pace for between 20 and 30 turns and then dropping back down to the bottom again. It is important to count the turns as you go so that if you get a bite you can remember at which level in the water the fish are to be found on the next drift. It is also important to remember that when a fish takes the lure that you DO NOT strike. The fish will bite and then immediately dive for the wreck where by it will hook itself. All you need to do it to continue to reel in and resist the urge to strike as doing so can result in losing the fish. 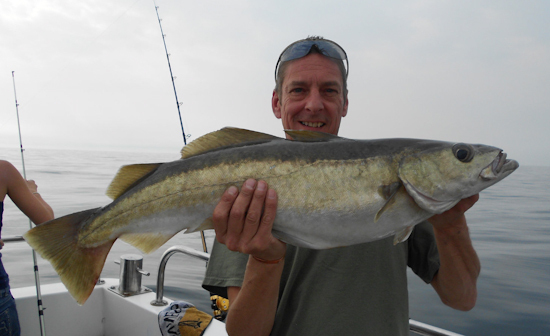 Later in the year we change to fishing wrecks at anchor with large baits of squid, cuttlefish and mackerel.